Little ways to live bigger on a small budget. 1. Tap into your pantry's endless dry noodle supply with a ramen noodle cookbook that costs the same amount of dough as a fast-food value meal. Want to spend $0? Check out some of our creative ides for ramen here, here, here, and here! 2. Satisfy your fall fix for cheaper by stocking up on Pumpkin Spice Latte Vias — aka instant packets — from Target! This is ~major~ news for fall-flavored coffee drink fans. Sadly, the Pumpkin Spice Latte bottle and Pumpkin Spice Frappuccino are only available in store. But you can order a five-pack of Pumpkin Spice Latte Vias from Target for $5.99. 3. Flying somewhere for Thanksgiving? Book your flight ASAP! You've probably already seen the advice all over your Facebook feed, but experts say this is the time. (Check out the deets on Skyscanner here.) So finalize your plans, request time off from work, and use our flight booking tips to cast food coma plans in stone. P.S. Maybe don't wear your cozy, old sweatpants on your flight. Apparently looking put-together helps your chances of getting an upgrade because the world is terrible and airlines are superficial, too. Check out the story on The New York Times here. 4. Consider forgoing the flashy packaging (that, tbh, drives up the cost) of your favorite beauty products for some cheaper lines with great track records. 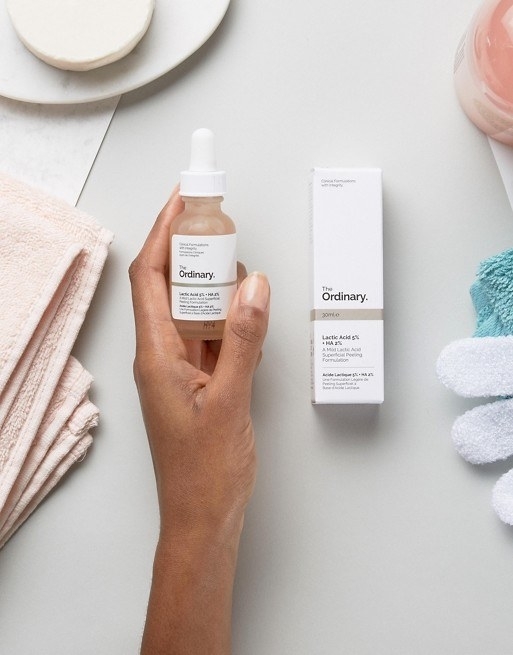 The Ordinary is a relatively new beauty favorite with simple packaging and effective formulas. 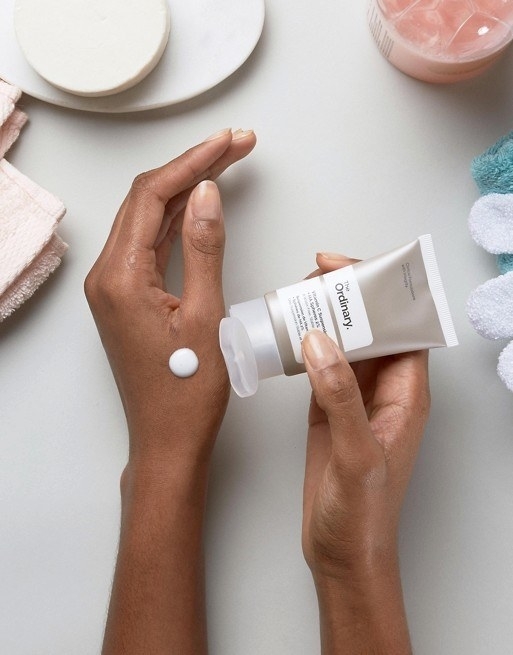 (Its umbrella company Deciem has *much* pricier products.) The Vitamin C suspension is a personal fave that tends to sell out and the Hyaluronic Acid 2% + B5 is in another BuzzFeeder's beauty arsenal. For more on this subject, check out Allure's story on the beauty placebo effect. So much more appetizing than a Hot Pocket from the convenience store. Read the instructions here. 6. 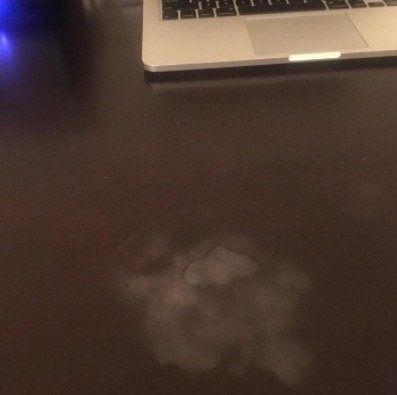 Erase water stains on otherwise perfectly fine furniture with a cheap cloth. 7. Shop your grocery store's "ethnic" aisle for better deals on pantry staples like rice, beans, spices, and more. Check out all the tips here and put those cheaper rice and beans toward this Zesty Lime and Chicken and Black Bean Rice recipe here. 8. 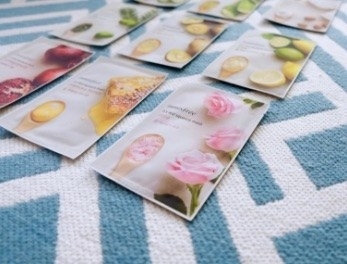 Use excess serum from sheet masks as body moisturizer. If you're already using sheet masks as part of your routine anyway, you can get away with using a little less lotion by doing this. Apply the excess to the back of your hands in between scaring your dog and snapping your Michael Myers-like visage. 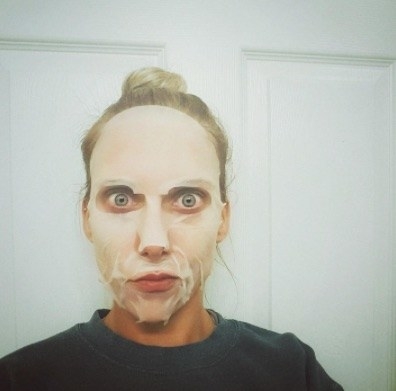 One sheet mask I recently used (The 7-minute deer milk from August's Facetory) had so much rich serum that I smeared it all over my legs, arms, feet, and hands. Get a 15-pack of sheet masks from Amazon for $15.96. 9. Make your very good pupper some homemade sweet potato chews instead of the store-bought chews they go through like crazy. All you need is a sweet potato, baking sheet, and an oven. Get the full instructions on Nifty here. 10. Assess your outerwear situation now and update it accordingly so you can make repairs or find a coat on sale during Labor Day weekend to replace it. But if your outerwear can't be salvaged, there are plenty of deeply discounted jackets and coats from last year. (Check out some of our picks here.) LDW sales are also excellent for finding outerwear. Back in 2012, I found a Kenneth Cole New York down jacket at Bluefly for more than $100 off and it lasted me 'til November 2016. Get this coat from Nordstrom Rack for $54.99 (available in sizes S-XL, four colors). 11. Also evaluate your lawn and yard equipment to see if it needs replacing bc — guess what! — these items are also often on sale during LDW! FYI, you can remove rust from garden tools with a super easy DIY from Nifty here. Score some solid deals by lurking on Amazon, Lowe's Home Improvement, The Home Depot, Ace Hardware, Target, and the like. Get this string trimmer from Target for $32.49. 12. Ration out your EVOO supply with an olive-oil mister...especially if you follow Ina's advice and always spring for the *good* stuff. Get it from Amazon for $9.99+ (available in two finishes). 13. If you have stacks of old fashion magazines and are OK with parting from a few, put 'em on eBay. Apparently it's a thing! 14. Take care of your cast-iron pan so you'll get more tasty bang for your buck down the line. Read our extensive guide to caring for *any* cast-iron pan here. Get this cast-iron pan from Amazon for $15.92+ (available in eight sizes). 15. Bring battered dinner plates back to life with these cleaning tips instead of shelling out for new ones. Get the full instructions on Nifty here. 16. 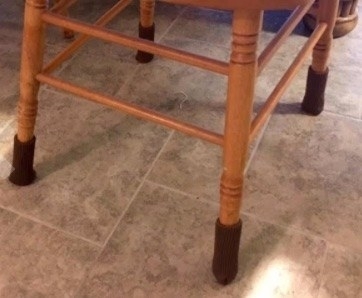 Keep your floors in pristine condition with some furniture leg pads (or socks!) 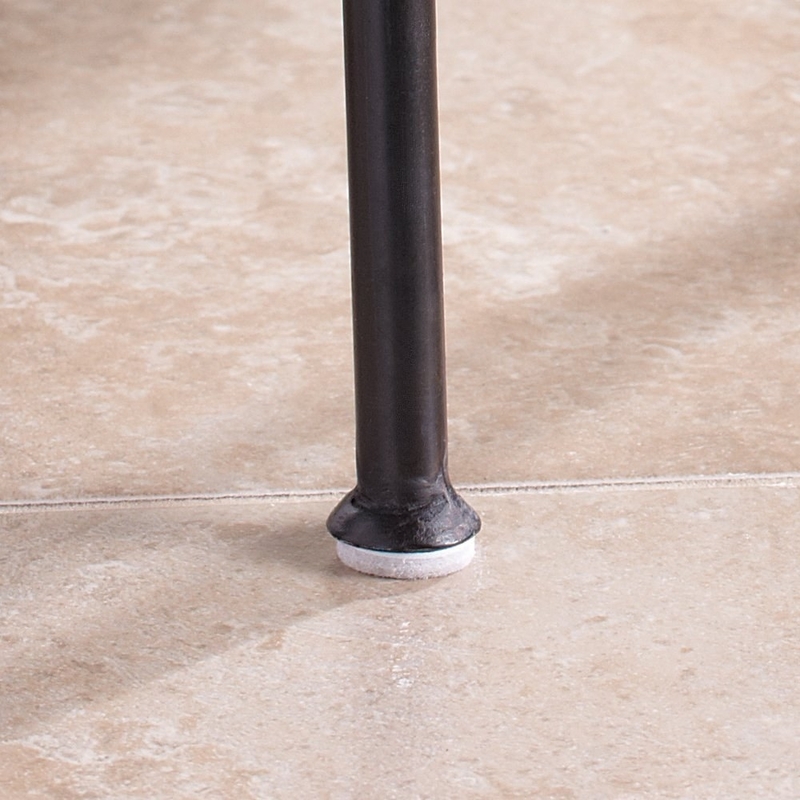 to avoid costly repairs or a withheld security deposit. Get them from Amazon: 48-pack of pads for $6.25 and 16-pack of socks for $6.78. Want to spend $0? Just use old kid's socks as they outgrow them as leg protectors. Your choice! 17. Put your roll of duct tape to work by studying its plethora of alternate uses. Remember when MythBusters tackled what duct tape can and can't do? 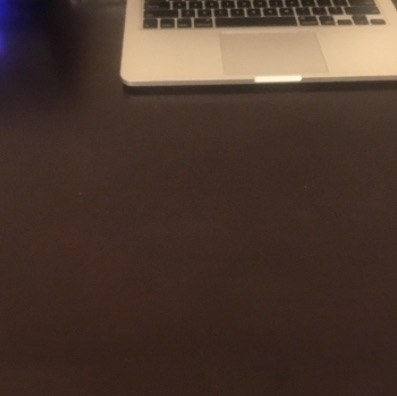 Don't recreate this GIF bc they're pros, but do read their findings here. And check out our duct tape tricks for everyday problems here. 18. Create your own magic eraser dupes for scrubbing away all kinds of messes around the house. The cost breakdown spells out a savings of $1.30 or 75% in comparison to original Magic Erasers. Get that breakdown and the full instructions on Nifty here. 19. And zero in on a costly personal habit and set a limit for yourself this month as a way to cut down on it, even if you fail (like I did in August). For August, I set a personal limit on ordering in and eating out for a max of three times. I met that max halfway into the month and then ordered in Domino's (as you can see in my shame-y Snap here), went to dinner with a friend, and made a lunch trip to McDonald's with my coworkers. Yep, I failed. But you know what? I definitely ordered in and ate out a lot less because I was conscious of my goal. It also gave me hope with a goal that didn't completely kill my social life, like going cold turkey would. I'm going to try it again this month to see how it goes! For the record, that goal-breaking Domino's order was so worth it after a drunken karaoke sesh the night before. And I had leftovers for two more meals! I'm definitely not making excuses. All in hopes that I'll do this one day with *actual* money.